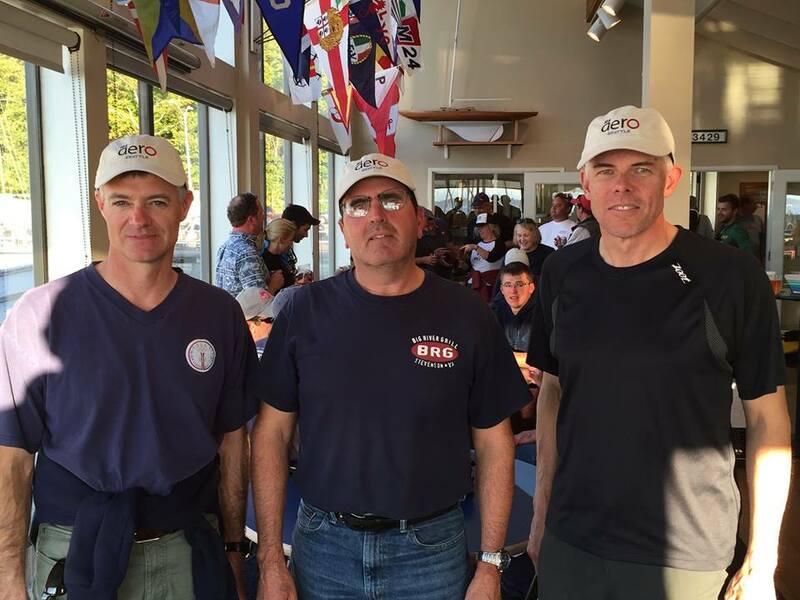 Photo: Top three at Seattle’s Puget Sound Sailing Championships, from left to right, Andy Mack (3rd place), Todd Willsie (second place), Michael O’Brien (first place) — all wearing the new Seattle Aero Fleet hats, thank you RS Sailing and West Coast Sailing for your support of our growing fleet! The Puget Sound Sailing Championships (PSSC) was held for small boats this past weekend October 3-4 at Shilshole Bay in Seattle. PSSC is the fall one design championship regatta held annually by Corinthian Yacht Club of Seattle. Thirteen RS Aeros entered, though there was some attrition on the first day due to very challenging conditions. Sunny both days, Saturday brought 22-25 knot winds with some higher gusts and 2-3 foot waves with some rollers double that height. The conditions for the first couple of races on Saturday were “epic” but eased off a bit in the afternoon and moderated to 10-15 for Sunday’s racing. Michael O’Brien from Seattle on 1250 was the clear leader throughout the regatta, posting 6 wins in 8 races including four straight bullets for Saturday’s windstorm racing. Second place was won by Seattle’s Todd Willsie 1127 and third place went to Andy Mack (White Salmon, WA) on 1514.